We are in the Medieval Cite of Carcassonne, France, staying at the Hotel de la Cite, a 5-star venue inside the walls of this spectacular fortress city in the south of France. Due to guests arriving to rent our French house for a week, we are staying one night here in this hotel before flying home tomorrow to London and back to work and school. Believe it or not, it was less expensive to stay here one night than to pay the ticket change fees for the three of us! Go figure. Another one of Ryanair’s ancillary income schemes. Having been to this great old walled city dozens of times as a tourist, I was looking forward to staying at the best hotel in the area. A 5 star hotel always conjures up visions of the classic Ritz Carlton hotels and their legendary service. I was looking for a gracious “guest experience” at every turn. But the guest experience at this 5 star hotel is definitely one step below crap! It started with being dropped off at the designated area outside the massive city walls. What is sign posted as “hotel guests entrance” is actually a wooden shack manned by a very rude guard and a woman with an official looking clipboard, who ticked off our name and told us to wait in the dirty and dusty parking lot and the hotel van would be around shortly to pick up our luggage and drive us to the hotel. After waiting fifteen minutes, we called the hotel. Don’t worry, shuttle is in its way, we were told. Ten more minutes, another call to the hotel, “on its way”. Another fifteen minutes and we asked the girl with the clipboard if she could help, to which she replied, “I don’t work for them but you can call yourself.” Beginning to feel like outsourcing gone horribly wrong. After waiting over forty-five minutes the little van driver shows up, and a drive of no more than 300 meters brings us into the walled city and to the hotel! Overall, not a pleasant guest experience, but of course the hotel manager explained there is only one driver on duty and he was busy with other guests. His attitude one of annoyance with our impatience and lack of understanding. First rule of crappy service, make the guests wrong! Needless to say, the entire stay is one of poorly trained staff giving indifferent service amid a beautiful hotel setting. There were vacuum cleaners lying out in the guest corridors, an electricians ladder and box of light bulbs next to the Grand Staircase all day. A very poorly trained young bar man. The list goes on. Wifi is off and on and slow, breakfast buffet is on par with Holiday Inn Express, the rooms are stifling hot. What’s so hard about good service and adequate staff training? After meeting the hotel manager, who informed me he has been here 15 years, I now understand the poor customer experience. Shadow of the Leader! If you like stunning surroundings in a Medieval castle with a ghastly guest experience, then this is the hotel for you. Otherwise, give it a pass! 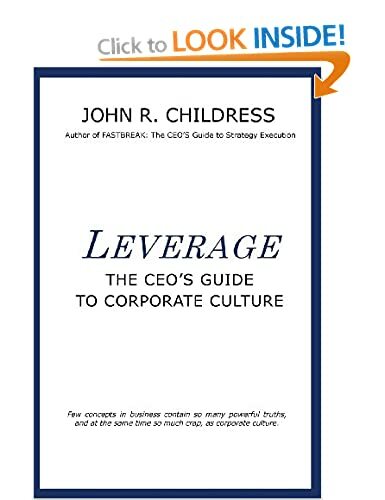 This entry was posted in corporate culture, John R Childress, John's views on the world, leadership, strategy execution and tagged 5-star hotel, Carcassonne, Customer Service, guest experience, Hotel de la Cite, hotel manager, hotel service. Bookmark the permalink. I strongly recommend you submit this blog on your experience of Hotel de la Cite in Carcassonne as a review on Trip Advisor. Then something might get done to improve things for future visitors – or, if not, other visitors will start echoing the points you mention . . . and hence the picture of Hotel de la Cite presented on Trip Advisor will become more representative of reality. Thanks for sharing this experience. 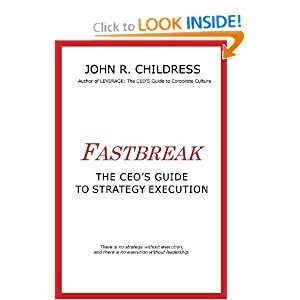 It illustrates how arrogance can crowd out attention to fundamental purpose and customer service. I recommend you post this blog as review on Trip Advisor. Then there’s a chance that things may actually be improved for future visitors – or, if not, then other visitors will start to echo your comments and, hence, the picture of Hotel de la Cite in Carcassonne will be eventually become more representative of reality.